UCLA EXTENSION WRITERS' PROGRAM – I love leading online workshops at UCLA Extension Writers’ Program for many reasons, perhaps chief among them the scores of talented, international students it attracts. In a typical workshop we’ll read narratives set in Europe, Asia, Africa, and the Americas. The online format, Canvas, works beautifully. Not only does the format allow students to check in when it’s most convenient for them, but it encourages disciplined reading and commenting on submissions, and allows for spirited discussions about technique in fiction. In the Winter Semester of 2019, I'll be teaching Novel V, the Program’s most advanced workshop for novels in progress. I’ll also be teaching an intermediate workshop, Novel II. 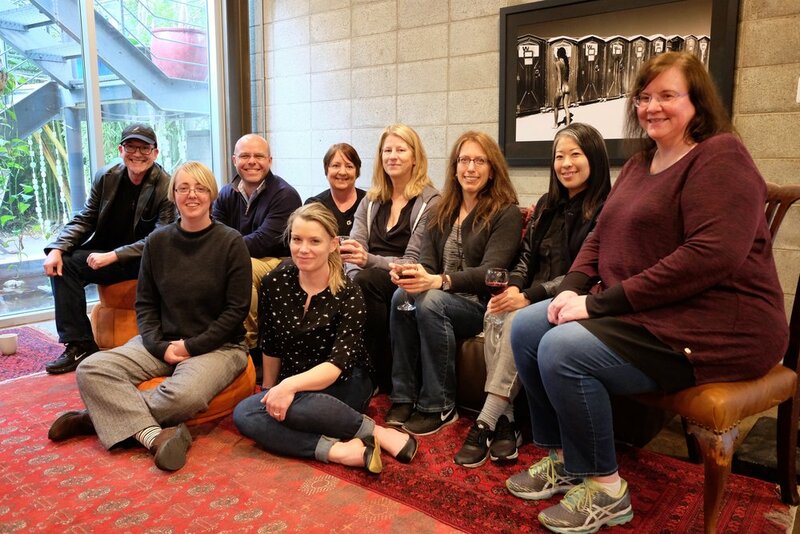 The Novel Writing course series offered by UCLA Extension Writers' Program is a comprehensive set of workshops dedicated to drafting a novel, guiding writers from page one to the final chapter. I also mentor writers privately through UCLA, and engage in manuscript consultations. PRAGUE SUMMER PROGRAM FOR WRITERS – Established in 1994, the Prague Summer Program for Writers is the premiere study-abroad program for writers in the English language, its award-winning faculty leading workshops in fiction, poetry, creative nonfiction, and mixed genre. As a member of the permanent faculty, I lead workshops in long-form fiction, consult with writers in local cafés, or conference on stories and manuscripts remotely. This year I'll be in Prague, working with writers, during the second week in July. Prague was my primary residence for more than a dozen years, and even though I now reside primarily in the U.S., I walk the city every week in my dreams. Prague's streets wind through a dozen centuries of Western architecture, from the Gothic through the Art Nouveau and beyond. No city surpasses it in the art of the contemplative walk. Mozart wrote a symphony about the city. Rilke was born and spent his youth here. Goethe was a frequent visitor. Kafka derived his inspiration and nightmares from Prague's labyrinthine streets. And a playwright, Vaclav Havel, led a peaceful revolution from a balcony overlooking its central square, becoming his country’s first post-communist President. In Prague, you’ll read each other’s work, talk about technique in fiction, drink great beer, and get so lost wandering the city’s streets and passageways that only your stories will find you.